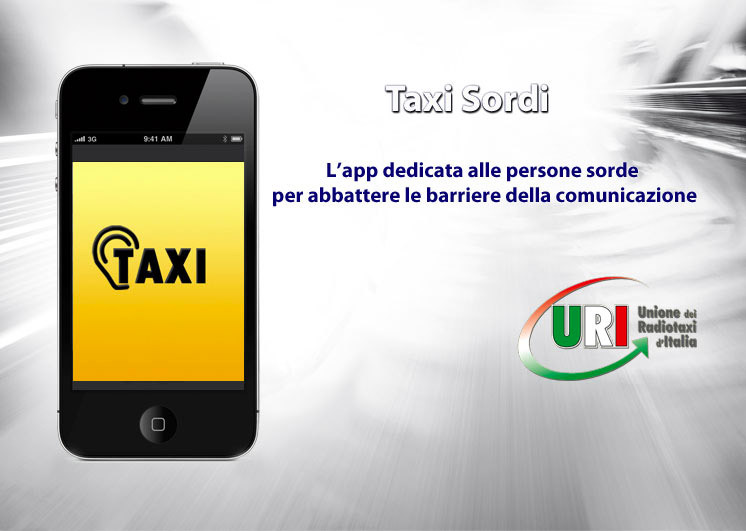 With TAXI SORDI, the App by URI (Italian Radiotaxi Union) designed in cooperation with the National Institute of the Deaf (ENS) and dedicated to deaf people to tear down barriers to communication, you can quickly request or book a taxi from anywhere. With a few simple steps, "TAXI SORDI" locates your position and sends a request directly to HQ. With a notification you will be informed of the identification of the car and its expected time of arrival! - Fast request: detects your position and forwards your request to the radio taxi office closest to you. Manual insertion: manually type the address (city, street, number) and confirm the request. POIs: by selecting the point of interest where you are located, the request is automatically forwarded to the responsible radio taxi office. We will immediately send you a notification with the identification of the taxi and the expected time of arrival! 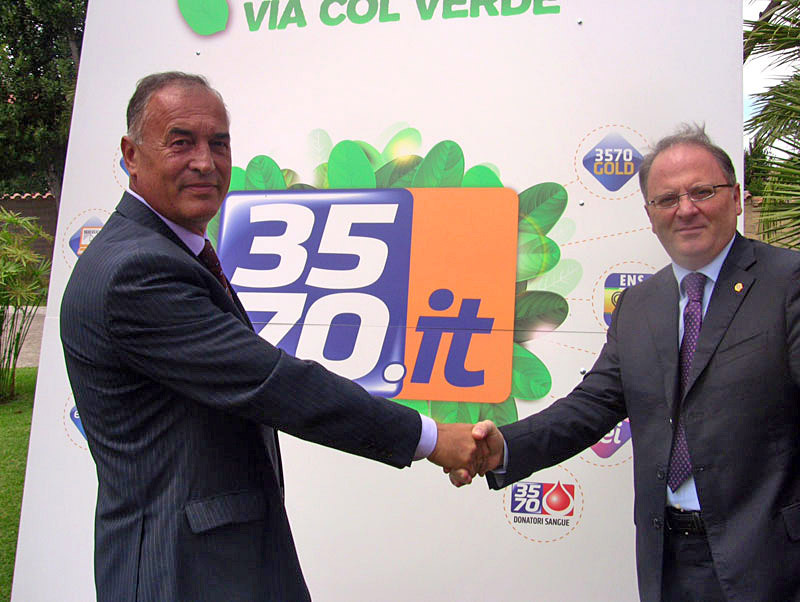 Il Presidente Bittarelli ed il Consigliere ENS Corsini. Judge the quality of the service that you received at the end of the ride, you will help us to improve further! What are the advantages of TAXI SORDI? The first and only Italian app for fast mobility always at hand that is able to inform the taxi office and therefore the taxi driver that the user is deaf. TAXI SORDI represents a unique point of reference for the request of taxis everywhere in Italy. It's a very advanced system that makes use of a satellite to localize the user anywhere in Italy. How much does it cost to use TAXI SORDI? The download and use are entirely free! and the fares for rides do not undergo any change.